June, sneaky month. (Insert here your favorite excuse/apology for not being around as often as I would like to). Moving on. I'm sharing two of the photos that I developed a couple of weeks ago. The Lomo people already sent the physical copies my way. I love paper photos. The first one are some videotapes abandoned in Stokey back in December. 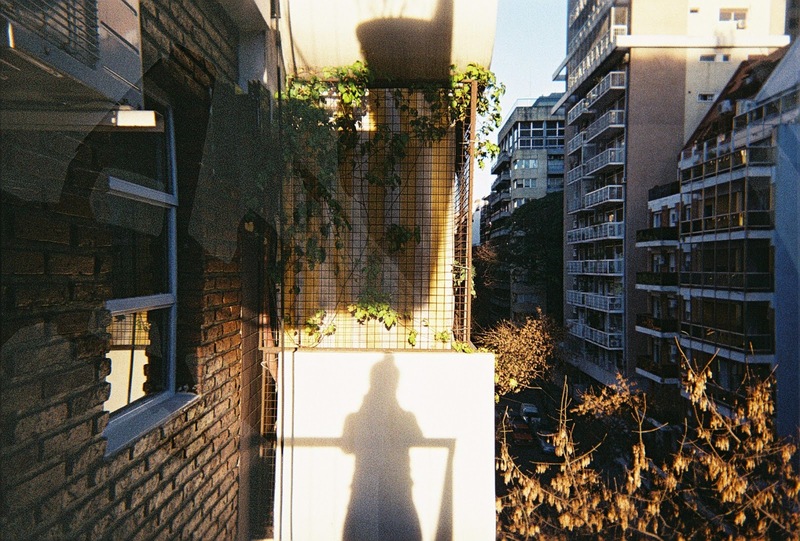 The second one was me, with a disposable camera in my flat in Buenos Aires... at least one year ago. Sneaky year. I'll keep this post short because I'm on my way to a very interesting workshop about emerging digital materiality in the Wellcome Trust. I'd promise that I'll share my insights about it here, but I don't trust myself anymore.